Long-time collector and repackaged product aficionado Andrew Phillips was fed up with spending large sums of money on repacked boxes and coming away with a low return on his investment. He wanted a way for collectors to get treated fairly when spending their hard-earned money chasing high-end cards. As a result, Andrew's vision of bringing a more reliable and valuable form of repack sports card boxes was born. His company, APBOOMBOX, aptly named after his initials and what we are all looking for: the big BOOM, has turned into the trusted and go-to source for collectors chasing those big hits. The kicker, and one aspect to what he created that was so important, is even if you don't get that main chase option each time, the other items will hold their value and never leave you feeling empty-handed. "I'm someone who loved re-pack products. I'd consistently drop huge amounts of money on boxes from other companies and get an extremely low ROI. I figured, hey, why not change that? Why not do 30-40 box cases every night with different chasers, all while trying to stay under $75 a box? Why not give someone a shot at a Mickey Mantle autographed baseball, or a vintage Hank Aaron card, or who knows what else, for a price that no one else could come close to? Here, you'll never find a $10 card in a $250 box. We simply don't make the box if I would be the one purchasing it, and I'd be unsatisfied. Understand, there is risk for sure, but instead of spending thousands of dollars trying to hit one big card, here you'll at least find decent items in each box, with some boxes being extremely nice." We asked Andrew to elaborate on what exactly we might find in each box, how to participate, and what to expect after purchasing a BOOMBOX. 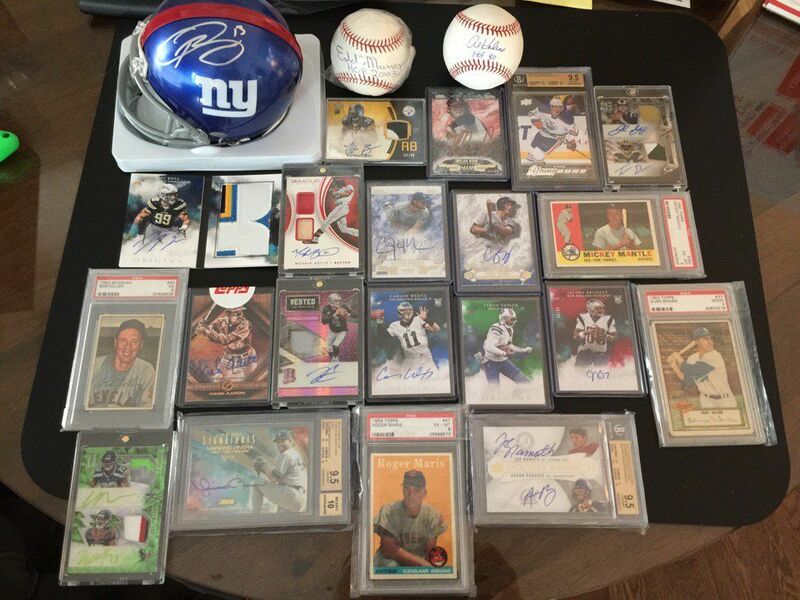 "We've done everything from Mantle autographs to Hank Aaron rookie cards, to Mike Trout and Kris Bryant graded rookie autos, to full-sized pieces of memorabilia. We've had photos, posters, footballs, baseballs, pucks, bats, boxing gloves, framed pieces and more. I've been doing this for four years, and wish I found this elsewhere because I'd be a customer. We get new, exciting items in daily, and ship the very next day. I've been on the other side a lot, waiting for my stuff. I like getting what I purchased as soon as possible. We usually go live every night around 9 or 10PM EST on USTREAM as we are located in New York City. Hopefully you'll be BOOMING with us in no time! 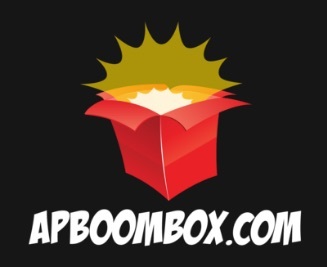 For collectors looking for a new way to enjoy the chase of high-end vintage, graded, and memorabilia, APBOOMBOX provides a breath of fresh air while still yielding value on a more consistent basis. You can receive information about what chase cards are available in their daily breaks by creating an account at apboombox.com. After you join and start purchasing, you will earn one AP BOOMBOX reward point for each dollar spent. This can result in incentives such as $25 and $50 coupons once a certain point level is achieved. If you have any additional questions regarding how to participate, you may contact Andrew directly by email via ap@apboombox.com. This site offers a no nonsense, no hype opportunity to obtain real value. I’ve been very satisfied with my recent purchases.